The celebration of the new year came to an end a day after, but the essence of the new year’s resolutions was still floating around when 3rd January approached. I had so many plans which I wanted to execute in ’17 one of which was to travel to Thailand. But all doesn’t go as per plan. I was on duty at a place and awoke the whole night. After coming back from the duty, I slept and around 10.15 am a bell rang on my mob. The 1st thought I got, not knowing the reason why was that there is some trouble. 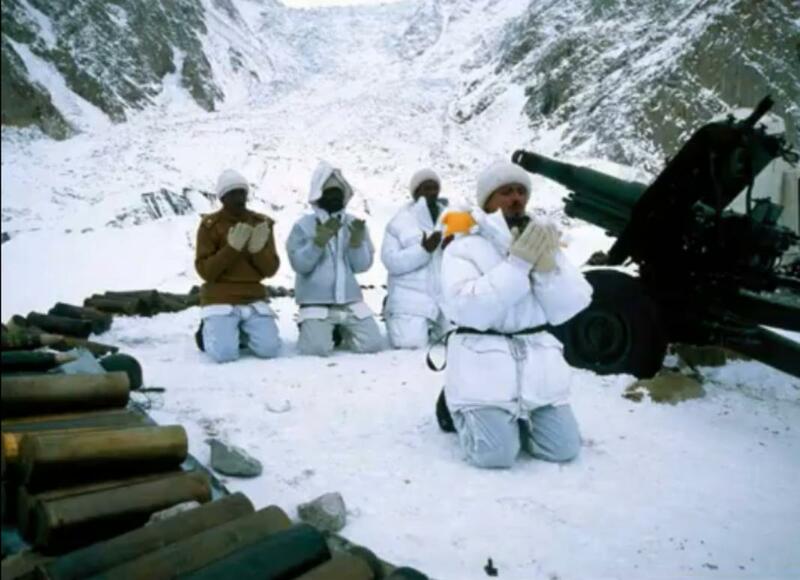 “Do you know you have been posted to Siachen as Ghazi officer…. Enough of the enjoyment you had since passing out and being stationed at Rawalpindi for more than 3 years…I wish you come back with all your limbs still intact” a friend in a sarcastic tone brought a news to me that jolted my world. How it’s all gonna be, how will I survive there, how will I manage at -50 degrees whereas bearing 1 degree in Lahore gets difficult for me, being the only son how will I manage my family affairs from there without communication? There were so many questions that were pinching me. Adding to my grievances, who so ever heard of my posting to Siachen, offered me condolences as if I am going to a place from where there is no return. I was lucky enough to get a month leave, spent some quality time with my loved ones, got engaged, ate a lot because, in the months to come, my patience was to be tested especially in this very regard. With best wishes and prayers of my family, friends, and colleagues, I left my home to undergo the “bloodiest 6 months of my life”. I flew to Skardu where I had my medical test, unfortunately, those tests were clear unlike what I prayed for so that I may not be sent to the sky-high posts. Later that week, I was told that I would be going to the toughest sector of the highest battlefield in the world. Further that my glorious services are required at the “highest military post of the world”. What! It can’t be true, somebody is sadly mistaken, I am just an ordinary soldier and not trained for such a high altitude and extremely low temperature. But then I realized my brothers in arms are just like me, and serving their motherland just like that. The only thing keeping their morale and fighting capabilities high is the warm and gallant blood running through their veins and so many expectations and prayers of their very own people “the Pakistanis”. It just took me a moment to realise that although I had been chosen randomly to perform this task, but there is no randomness in Pak Army, one of the best army in the world, where all ranks are trusted upon to return victorious from those tasks for which victory is not as simple as it is to be written. But still, somewhere in my back head had remained a bit confused as many of the above-mentioned questions were still left answered. As I move along with my party of 9 soldiers on a tiresome journey which stretched over 21 days starting from Skardu through 11 posts, passing over the glaciers and rugged landscape with numerous crevices which open their mouth to take you in them when one foot gets on them. The journey was so much exhaustive due to fatigue of continuous journey (we stayed for a night on each post in between) and lack of oxygen and at many occasions, one prefers to give up and call for the air ambulance, but that’s not how soldiers of Pak Army behave. We do it or die, no 2nd thoughts about this. My soldiers insisted me to agree that in the 21st century, the travel to the final post should be done on helicopter rather than wasting 21-25 days merely walking to our final destination, however, I guided them with the exact reason of moving all the way on foot that was to acclimatize our body for surviving at an altitude difference of about 14500 ft (Skardu having an altitude of 7300 ft approx and our final post is around 22000 ft). We were lucky enough to have a glimpse of K-2, world’s 2nd highest peak which many people can only dream of. The 21st day we reached the 2nd last post at 18000 ft ( almost the same height as of K-2 base camp) where some of us stayed for over 45 days and later moved to the final post. It was over 2 months now since I was moving and living on a glacier. One can easily note the numerous changes that were happening inside the body due to an extended stay at high altitude and in extremely low temperature. We had to stay in igloo which was very uncomfortable, I had to offer salat while sitting as it was like a bowl and my head used to touch the roof. Minimum 5 soldiers irrespective of the rank used to sleep in 1 igloo, at night if one even moves his arm slightly, the person sleeping next to him used to wake up and eventually all of them came out their dreams. Finally, the night came on which our journey to the final post i.e the highest military post was to be held. Just between these two post lies the bodies of 158 martyrs of Pak Army who sacrificed their lives for their country Pakistan, the bodies are still lying deep below the crevices whose recovery was not possible then because of the extreme climatic conditions. To date, the body of the last Shaheed Sep Zahid was recovered 3 days after his Shahadat in Dec 2016, he is the 159th to embrace Shahadat at that very area only whereas hundreds and thousands of lives have been sacrificed by the sons of the soil in complete FCNA region. It was a continuous 16-hour journey over the night and till midday. Crossing over countless crevices either by crawling, passing over stairs placed there as a bridge or through ropes pulling all the individuals across that gap. Those 16 hours were the toughest as oxygen level was so much reduced that our bodies were fully vulnerable to develop HAPE ( High Altitude Pulmonary Edema), HACE ( High Altitude Cerebral Edema), AMS ( Acute Mountain Sickness) and the most of all, frostbite. Alhumdulillah, That was not our time to encounter with these hazards and we reached the highest post safe and sound. Later that day I realized that toughest part was not to reach here only, the party has just started. For the next month and above, every day to see myself alright was nothing other than a blessing from Allah, who was just paving a smooth way over a mud swamp in which I was supposed to drown. It was the right moment to quote “the only easy day was yesterday “. Every day was a new challenge there, making the situation even more brittle. Directly or indirectly, I was affected by the scenario when either me or my under- commands were not feeling well, they were emotionally disturbed or could not sleep at night because of suffocation and due to extremely low oxygen levels, when we wanted to eat but could not eat due to slow digestion, when we had head ache and chest pain every day which was a quite normal thing there and medicine had very little affect, when we had a burning sensation in eyes if we forgot to wear polarised glasses outside the igloo, when we still feel thirsty after having more than 8 glasses of snow melted water as it still failed to fulfill our thirst, when not wearing proper suiting could lead to frost bite instantly, when it’s your loved one’s birthday and you had been waiting the whole year to make his/her day special and memorable but you have no direct communication back at home and you end up making plans for their next birthday, when there is blizzard for 3 consecutive days and you are stuck inside the igloo, when can’t take a single bath in 3 months , when getting an indirect message from home that all is okay there is considered a luxury, when you have to aswer the call of nature in open while the cold air freezes you completely, when you are completely surrounded by loneliness that shows its presence every moment and much much more. Soon I began to get an answer to all my questions. I began to laugh at myself for the childish attitude I showed at the time my posting was announced. I rather began to consider myself blessed to be chosen for such a noble duty for which I can be proud of myself and cherish the time I spent along with my brave lads, fighting with our inner limitations, with extreme weather and our enemy. Further, the respect for my own institution i.e Pakistan Army was so increased up to an abnormal level, to see how a soldier whose pay is merely nothing as compared to the services he provides, his life above all, for the hardships he bears, for the medical imbalance his body faces…. I could not wait another moment to thank my colleagues, seniors as well as juniors, the men in armed and law enforcement forces, for their tiresome efforts to keep the green flag of our religion and country high. Now I was sure from where all the courage and motivation comes from, imagining of the many anonymous hands that are praying for us and so many expectations these Pakistani people are having from Pakistan army, may it be defending the borders, fighting against the miscreants who somehow managed to reach our towns, coming to rescue its people in natural calamities, making it possible for international festivals and sports events like cricket and football that include many famous international players, by providing fool proof security arrangements, reminding the naughty politicians of their fate if they do not mend their ways, army comes forward just for the sake that this nation keeps on progressing. Pakistan army loves the people of Pakistan and it loves to be loved back. 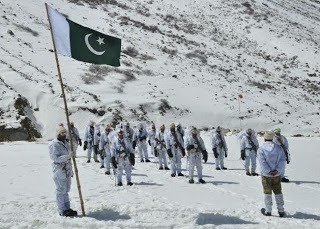 Hats off to Pakistan army for all the sacrifices and hardships they are undergoing and still tolerating the propaganda against them by the anti-state elements because we are chosen by Allah for this task and no one else can come in our way and divert our attention from serving the people of Pakistan… Pakistan Army Zindabaad. Pakistan Paindabaad!! !